The great thing about cork soles is that the natural hue compliments uppers in any shade or fabric. Stella McCartney’s fierce gray cork platform sandals with non-leather satin finish are begging to be worn with a light as a feather printed dress. 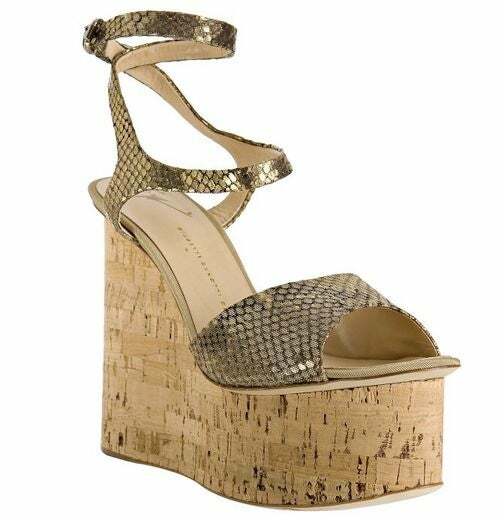 These simple yet bold strappy Elie Tahari ‘Charlotte’ cork wedges with metallic leather upper are a great investment that will last for years to come. 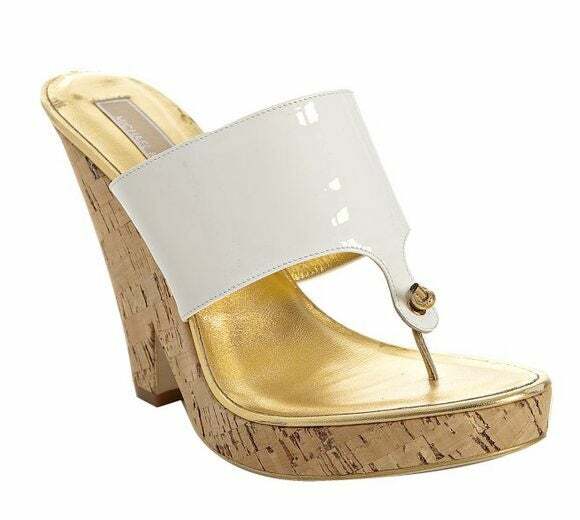 The mix of the glossy patent leather with the cork detail makes for a notice-me sandal. 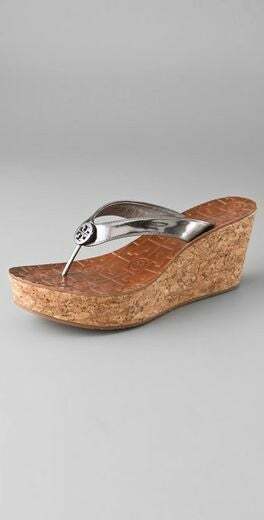 Turn heads in these Fendi slingbacks with chunky cork wedges. Looking for a statement sandal to complete any glam look? These platform metallic gladiators will do the trick. 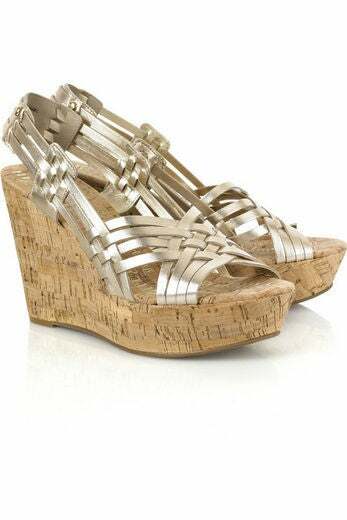 The gold diamond leather and wrap-around ankle strap make these cork platform wedges a stand-out. Wear metallic for day without looking overdressed in silver Huarache styled cork wedges. 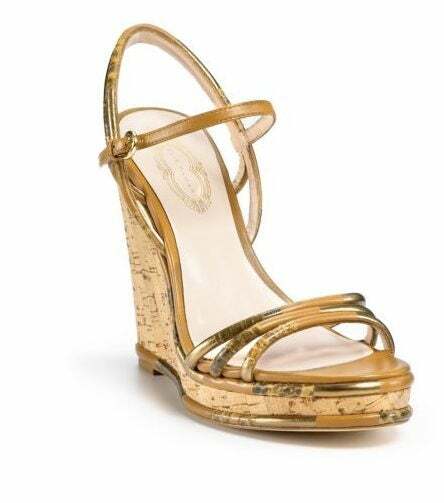 The gold thin bands and crossover perforated bronze straps of these cork heels are a perfect match in shoe heaven. There’s more than one way to wear cork. 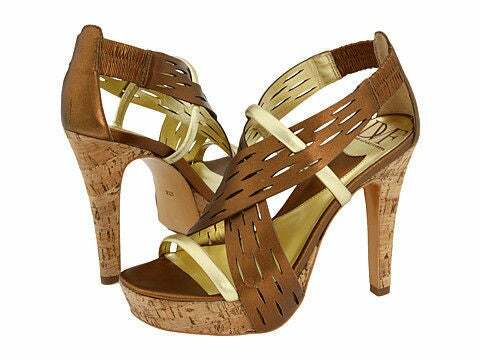 We love how these stacked-heels have cork-like leather straps. 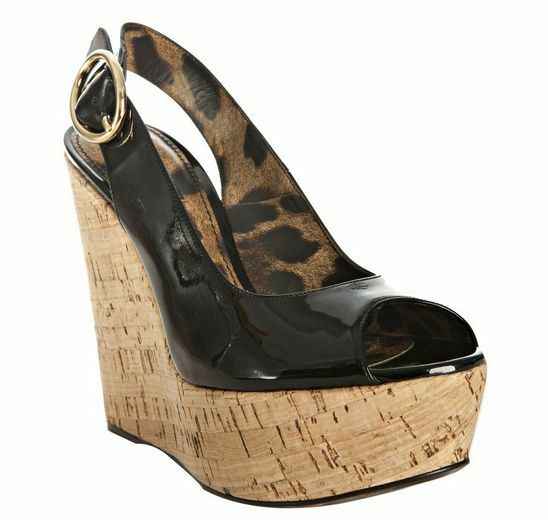 It’s not hard to see why these Donna Karan cork and suede wedges with elastic straps are a must have. Tory Burch’s thong pebbled cork sandals offer more support and style than rubber flip-flops.